This class is for children to dance with their own ideas and movement. We encourage them to play and get a new experience with their own body. The aim is for them to enjoy dancing and achieving their balance and musicality. In this class, we will explain the name of the ballet steps and children can experience them with music. Through basic barre & center practice, they will be aware of their own weight, balance and coordination of the body. Of course boys are welcome too. Each step will be explained slowly, so do not worry even if you are completely new in ballet. Everyone who's interested in ballet is welcome. We will do stretch and basic barre & center. In beginner's ballet, we will practice basic steps and in classic ballet, we will try to dance a little sequence. Born in Shiga. In 2004, she moved to the UK and studied Ballet, Contemporary Dance, Tap, Spanish, Jazz and Modern dance at Kate Simmons Dance Ltd. To concentrate her training in Contemporary Dance, she moved to London in her second year and trained at Rambert School of Ballet and Contemporary Dance. Graduated Kent University with BA(hons) in 2007 and danced with Modem (Compagnia Zappala Danza) in Sicily. Back in Japan she became a freelance dancer and ballet teacher. Also studied in policy science and graduated Ryukoku University with a MA in 2013. For 3 years, she worked for Japan Contemporary Dance Network as a coordinator and translator but joining a summer school of Foundation for Community Dance in the UK was a turning point. She started working as a dance facilitator to deliver an opportunity for people to enjoy dancing. Born in Nita, she studied modern ballet from the age of 3. While being trained by Abe Nobuko and Uchibori Teruko in modern ballet and contemporary dance she performed in musicals produced by Ryutopia(Niigata-City Performing Arts Center). She has been married and living in Kinosaki for 7 years now. She is currently a Pilates instructor in Kinosaki. it is convenient to use Tajima Airport ! 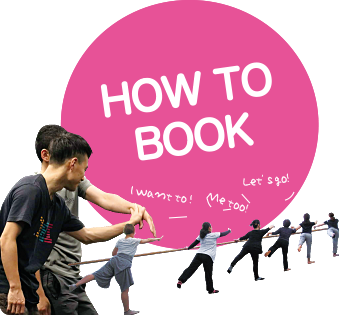 If you use Tajima Airport & join this open class, you can get Special KIAC Bag for free ! 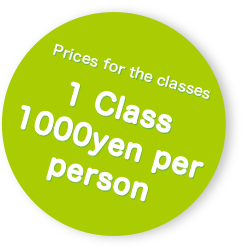 If you stay at a Ryokan in Kinosaki, you can get a free ticket for open class ! NOTE: Class and room bookings are seperate. The booking of a room does not book you a class.